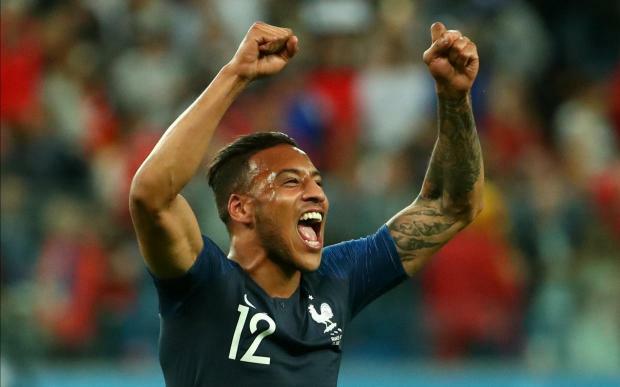 France's Corentin Tolisso celebrates victory after the match. France beat Belgium 1-0 on Tuesday to book a place in the World Cup final against either England or Croatia, thanks to a headed goal from defender Samuel Umtiti in the 51st minute. In a pulsating semi-final worthy of the teams' reputations, Umtiti rose high at the near post to head an Antoine Griezmann corner past keeper Thibaut Courtois. It was enough to take France to the final for the first time since 1998, when they won their only World Cup as hosts of the tournament.